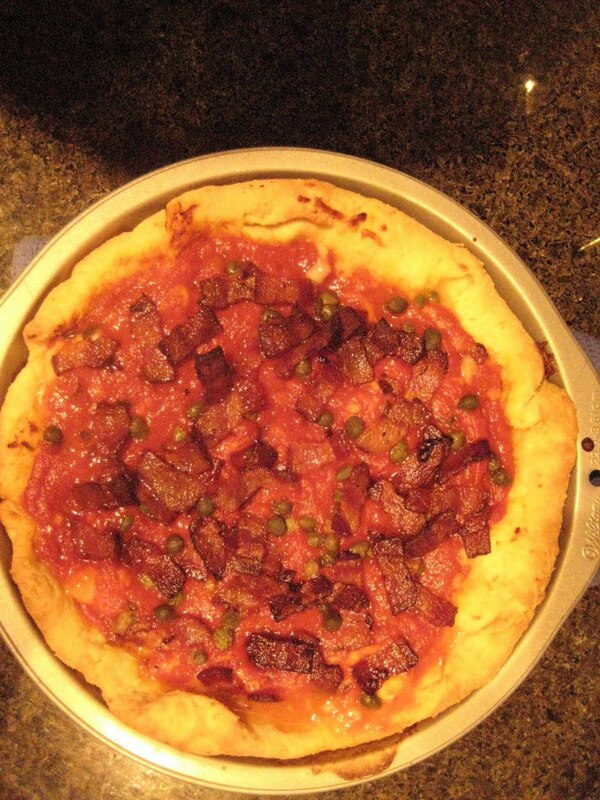 Deep Dish Bacon and Caper Pizza. At first I was very reluctant to embark on what seemed like culinary suicide. 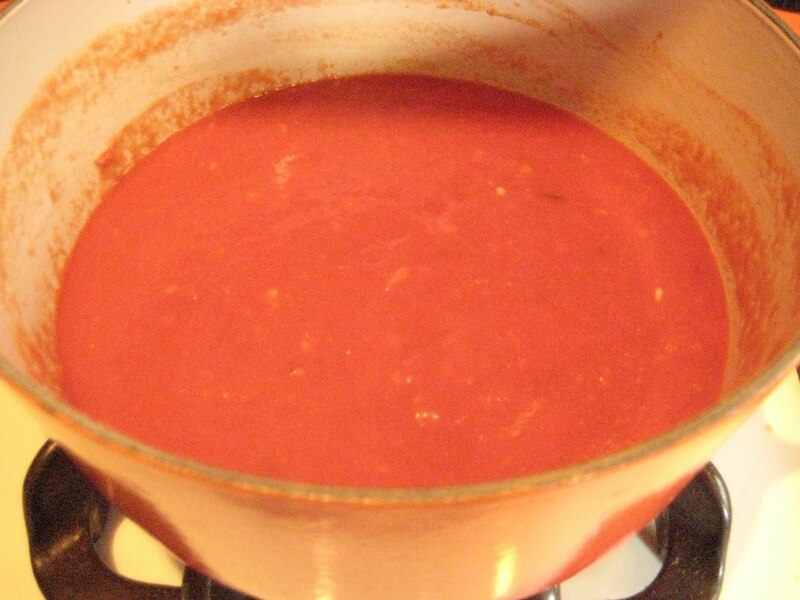 Soggy and overbearing crust with a vat of tomato sauce? No, thanks! But, of course, Cook’s Illustrated came to my rescue and showed me the way. Like they always do! No one ever seems eager to make pizza. The sauce and dough take too long, the toppings take time to prep, there are too many components, blah blah blah. I admit it’s not the most ideal dinner for those of you with 8 children and a hamster, but on the weekends or for dinner parties it’s a hoot. 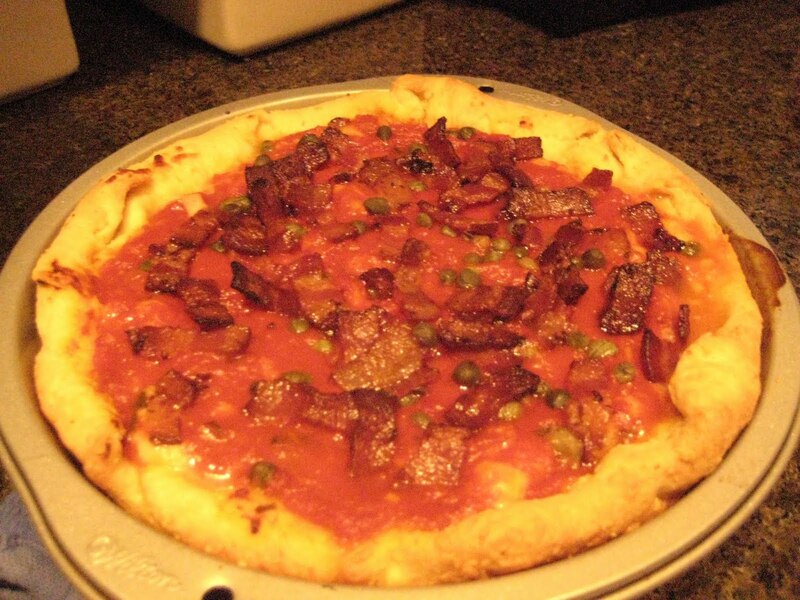 The dough practically makes itself and all you really have to do is wait for it to rise, the sauce can be made from scratch or gotten from a jar or tub apparatus, and most grocery stores carry toppings like pepperoni and grated mozzarella all ready to go. So hang up your excuses with the dry cleaning and roll your sleeves up; it’s about to get tasty in here. Pizza lovers seem to fall into two categories when it comes to defining the best and the worst pizzas: crust aficionados and sauce connoisseurs. Whichever camp you pitch your tent in, I hope you find a home with this recipe. The crust is studded with cornmeal and layered with butter, which gives it some depth and “personality”, you might say. The sauce is simple and flexible, so if you’re a spicy kind of guy/gal you can jazz it up or throw in some meat for an extra-special flair. As always, I am a big proponent of making recipes your own by playing to your personal tastes and going with your gut! Remember, folks: we must all thank Cook’s Illustrated for their marvelous work, which you can view here. To read my more colorful rendition of this tasty treat, read on! 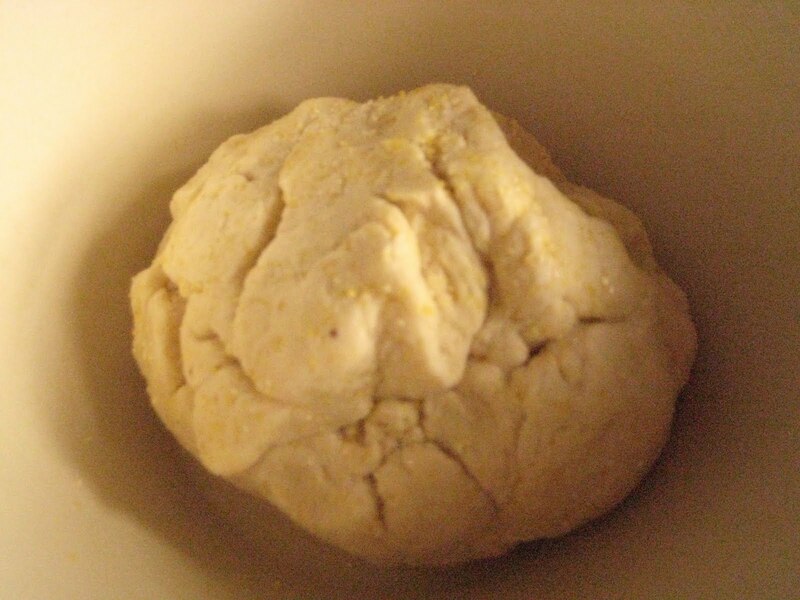 In the bowl of a standing mixer, toss in all of the dry ingredients and mix with the dough hook until blended. 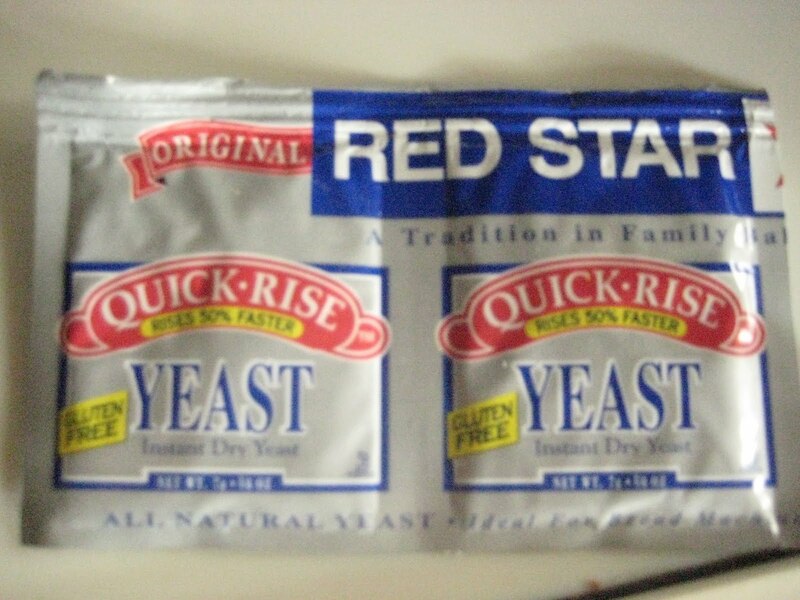 The other one is used for breads that need much more time rising, so make sure you get the right one! 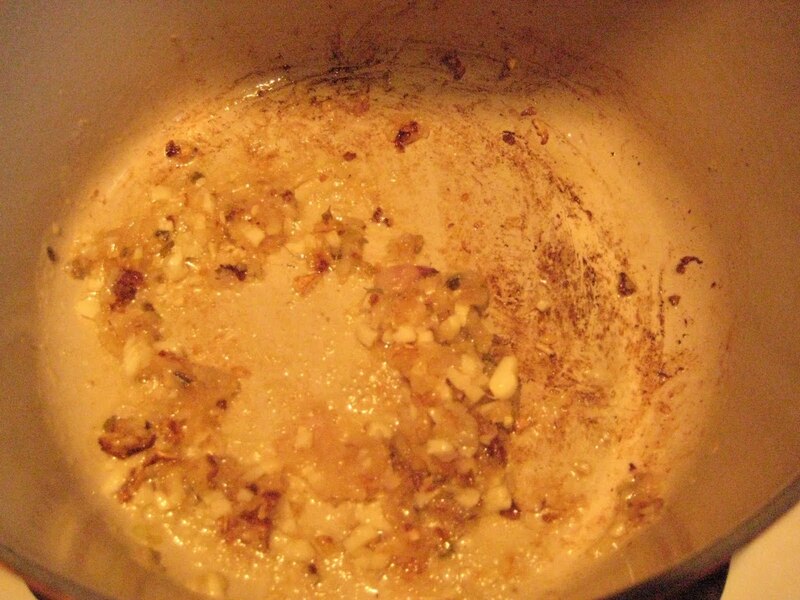 Add the melted butter and the water to the bowl and mix on low until blended. 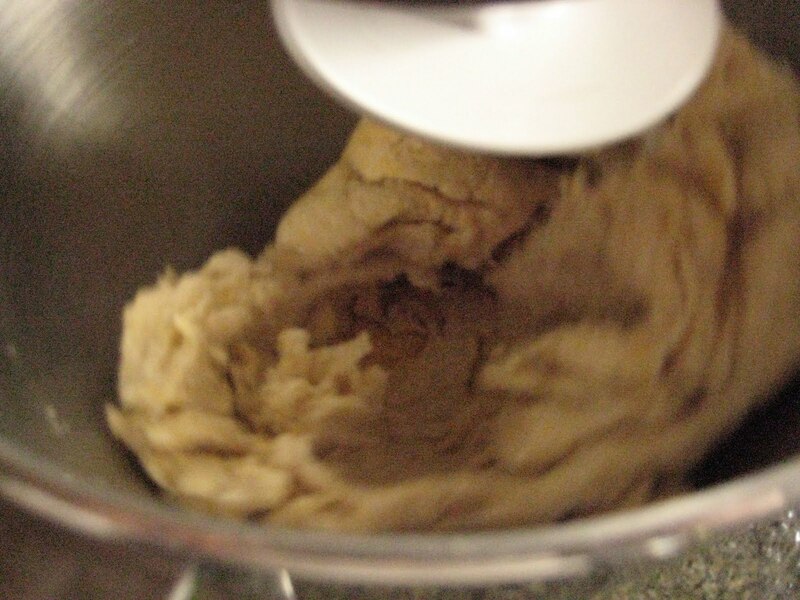 Increase speed to medium and mix for about 4-5 minutes, until the dough forms a cohesive ball and pulls away from the side of the bowl. 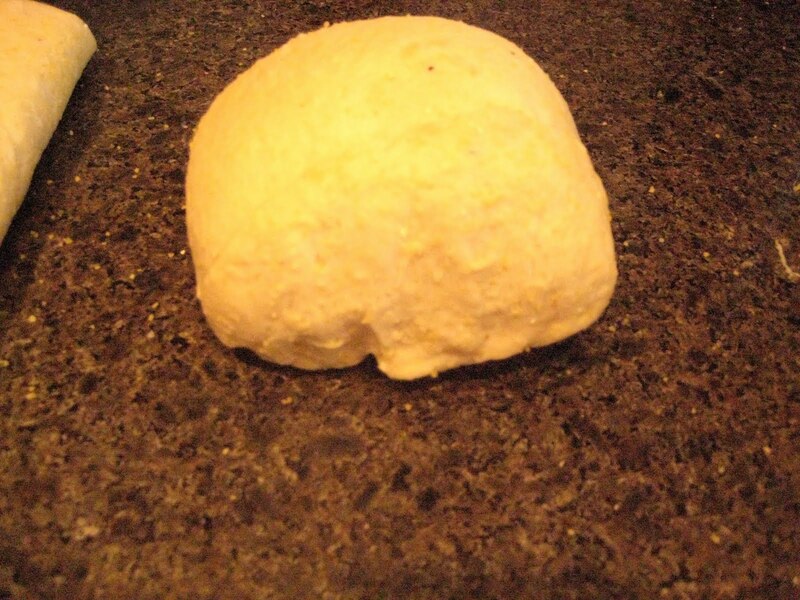 My dough did not look perfect like the one in the Cook’s Illustrated video. It was a little more clumpy and not as smooth looking, which I am going to blame on the cornmeal I used. However, it came out just fine so we are not going to cry over spilled milk! See how it’s not really a ball? If yours turns out this way don’t fret over it; nobody’s perfect! Oil a large bowl and place the dough inside, turning it to coat the surface with oil. Cover with plastic warp and place in a warm location to rise. It should double in size over the course of about an hour. 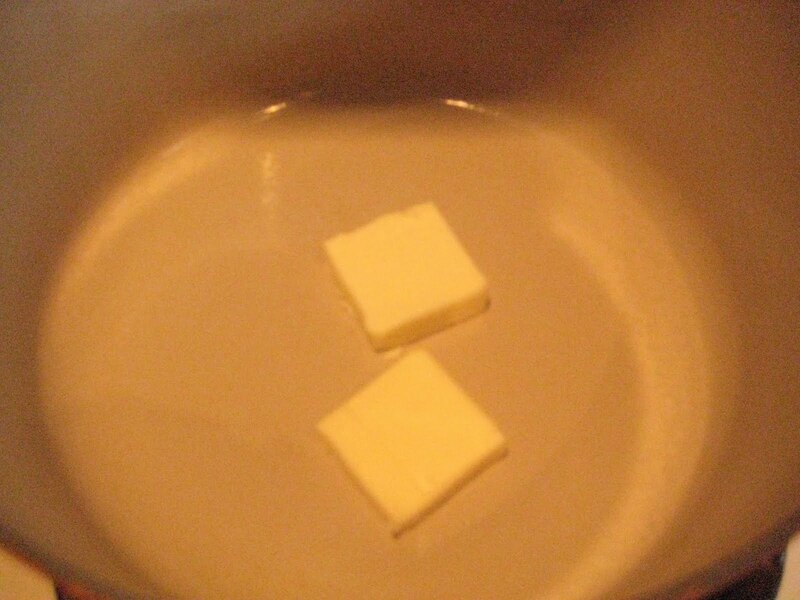 Heat the butter over medium heat until melted and hot. And add it to the pot with the salt and oregano. 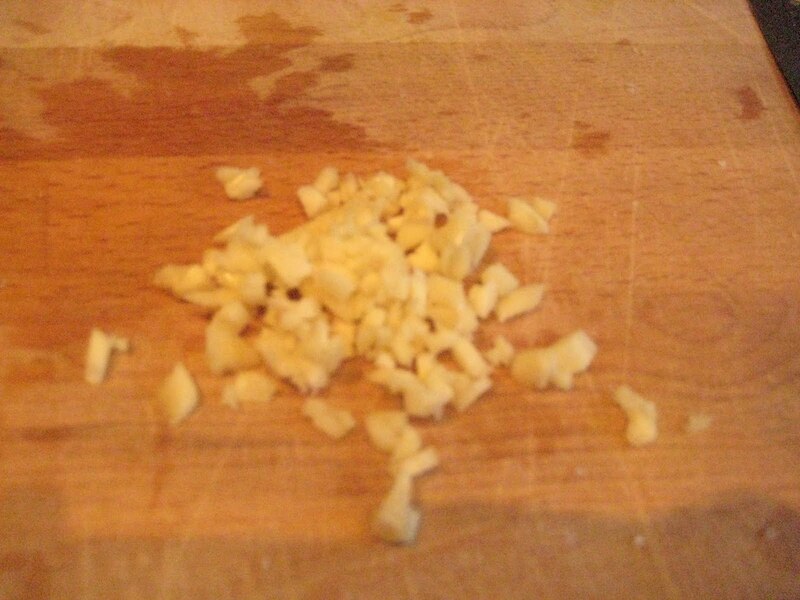 Finely chop your garlic and throw it into the pan once most of the moisture from the shallot has cooked off. 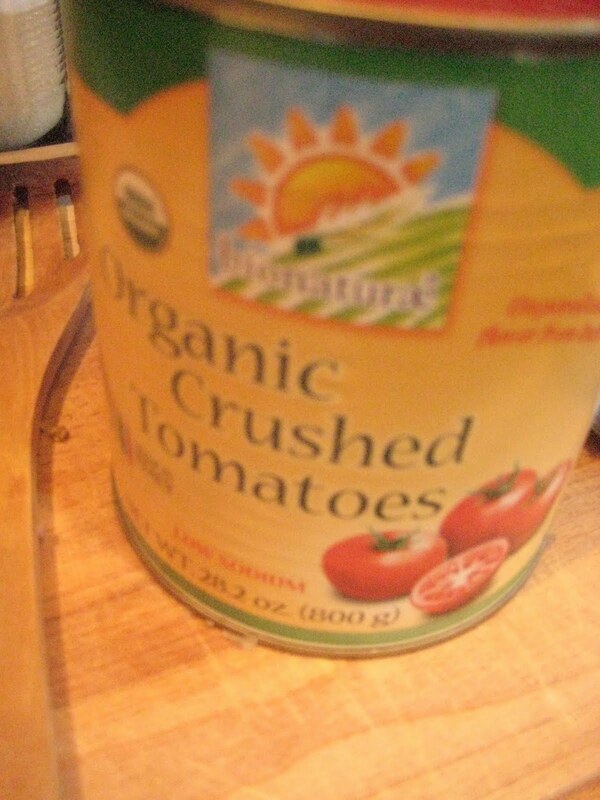 Cook the garlic for about 30 seconds, then add the tomatoes and sugar. Bring the sauce up to a boil then reduce heat to low, cooking until it has reduced to a little more than 2 cups, about 40 minutes. Turn the heat off and add the basil and olive oil. 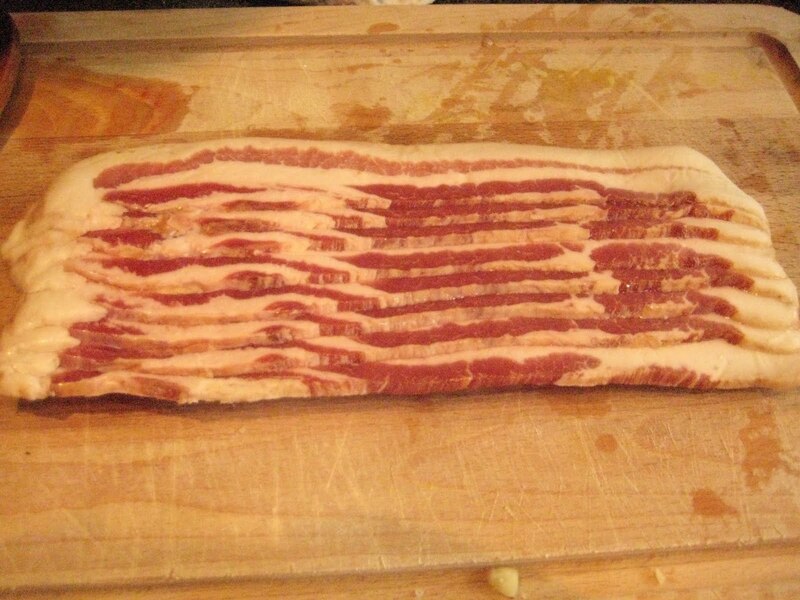 1 pound of the world’s finest bacon. Pop it in the oven and stir after 10 minutes. It will exude a lot of splattering hot grease to be careful! 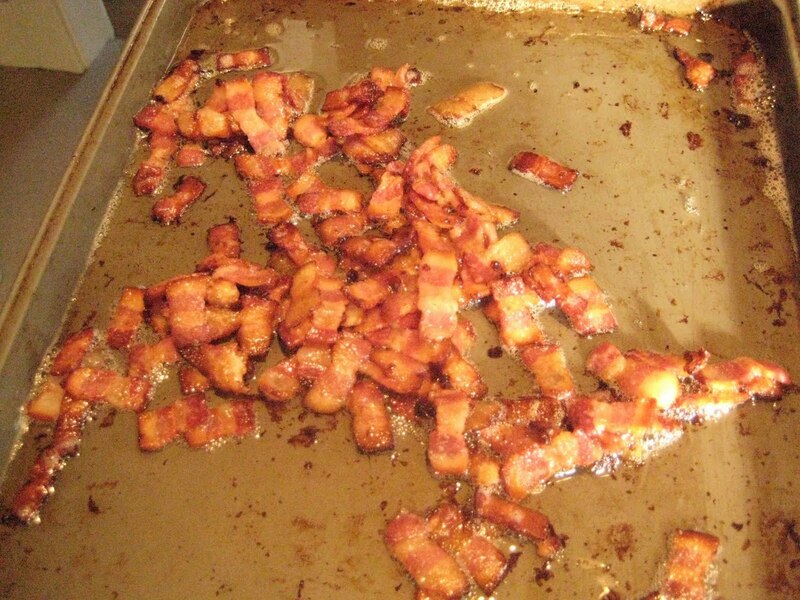 Remove it from the pan with a slotted spoon and place on paper towels to drain. Nom on a few bits. 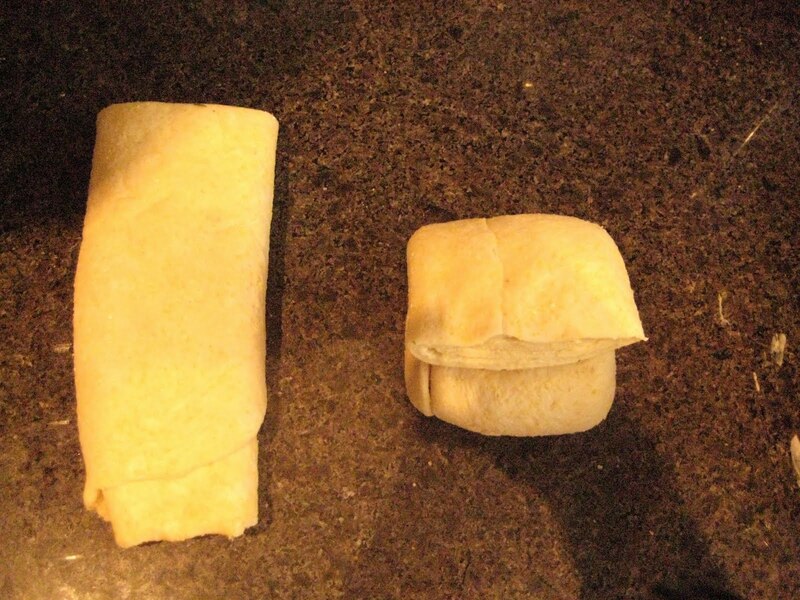 About an hour should have passed by now, so check on your dough. 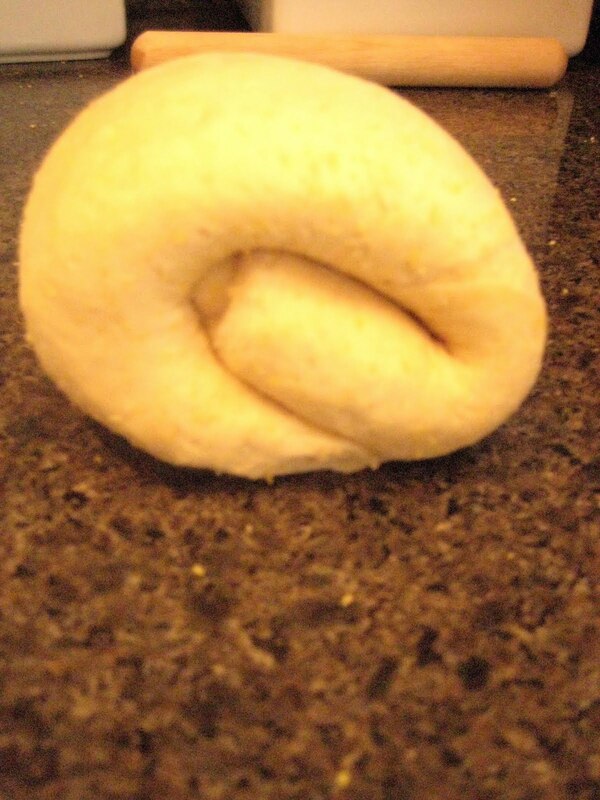 Ever anxious, I placed my dough bowl on my heating pad to help speed along the process. 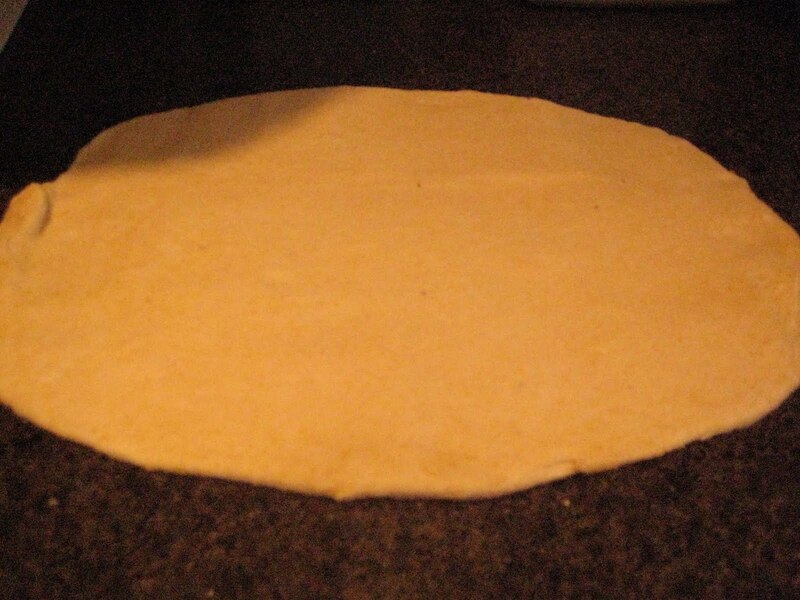 Remove the dough from the bowl and roll it out on a clean surface to a 12″x15″ rectangle. 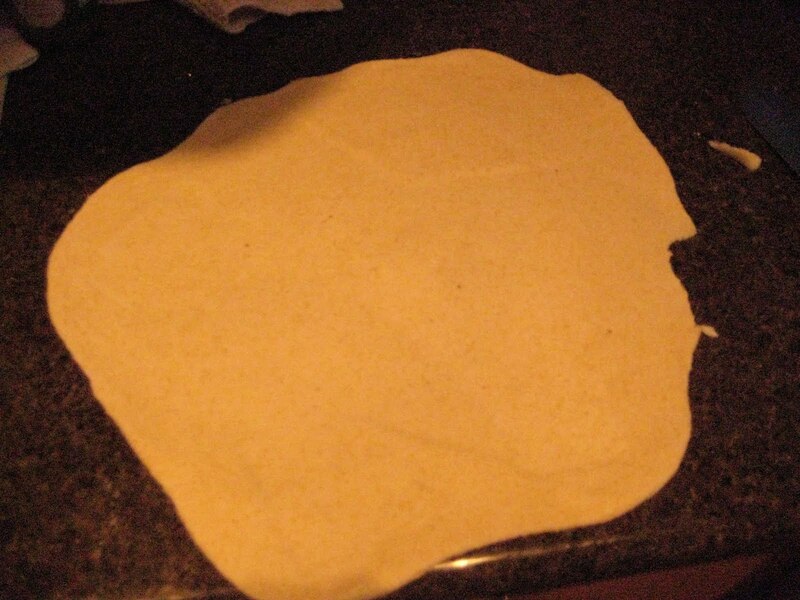 The best part is that this dough is not like pie or sticky cookie dough, which require a floured surface and a big mess. 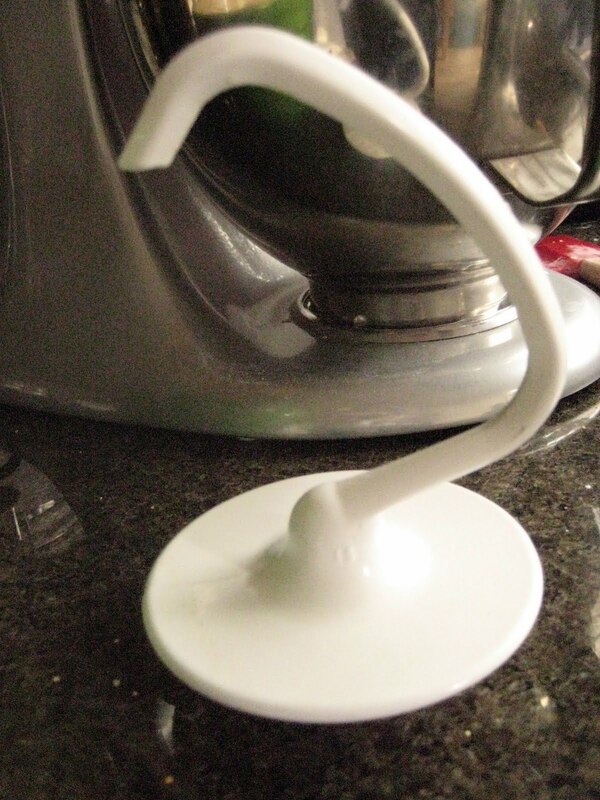 You can roll it out on the counter and pick it up with ease! More of an ellipse than a rectangle, but it doesn’t really matter. It’s not like the Queen is coming to tea or anything! 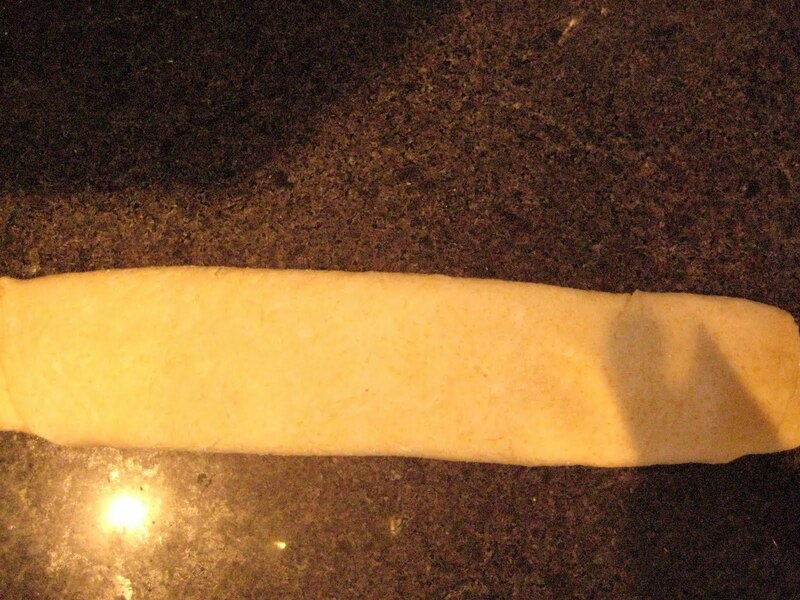 Take your 4 T softened butter and spread it onto the dough with a spatula. Seam side down, smoosh it flat into a 4″x18ish” rectangle and cut in half. Pinch together all the seams so you have a ball. 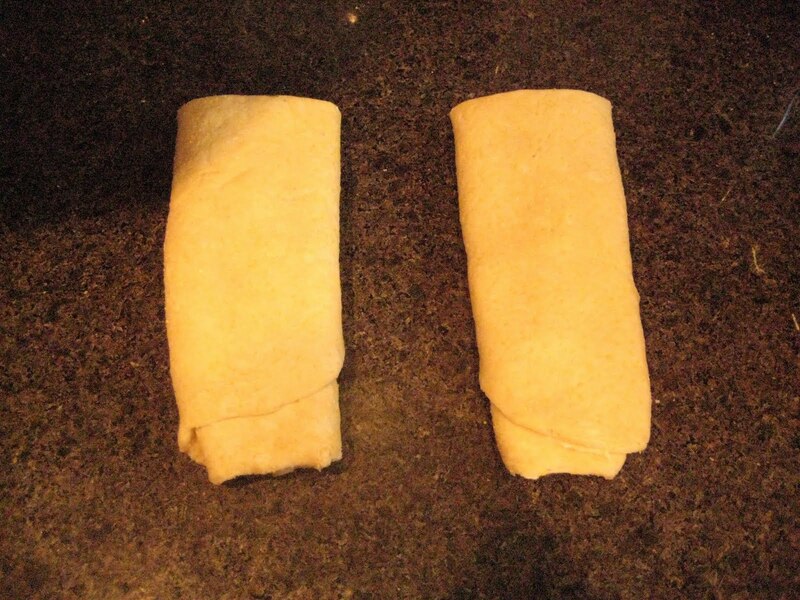 Repeat with the other piece of flattened dough, then place both balls back into the oils bowl. Let rise for another 40 minutes, until nearly doubled in size. Now you’re ready to rock. 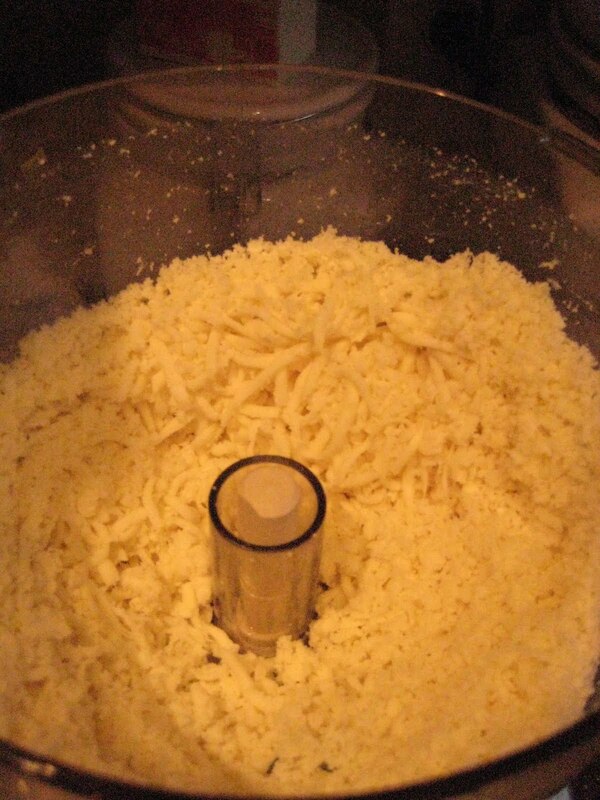 Shred 1 pound mozzarella cheese and preheat your oven to 425. 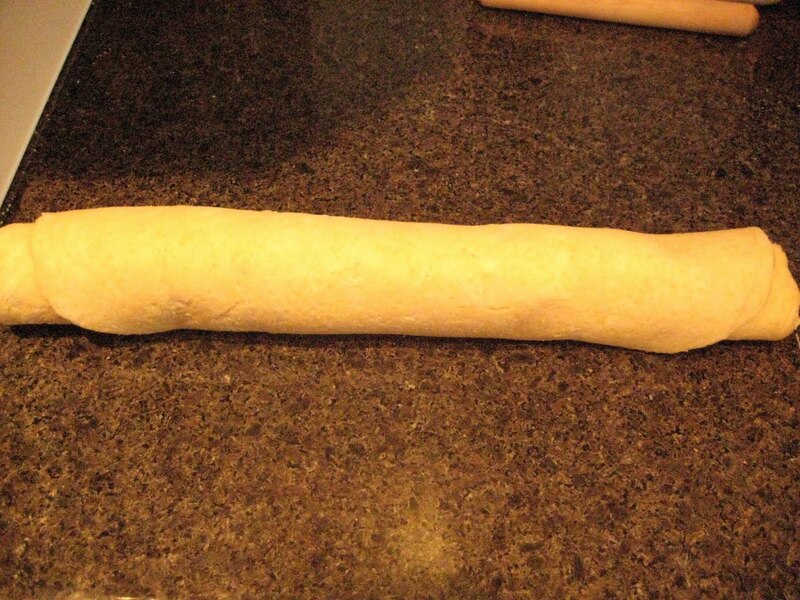 Take one of your dough balls and roll it into a 13 inch disc. 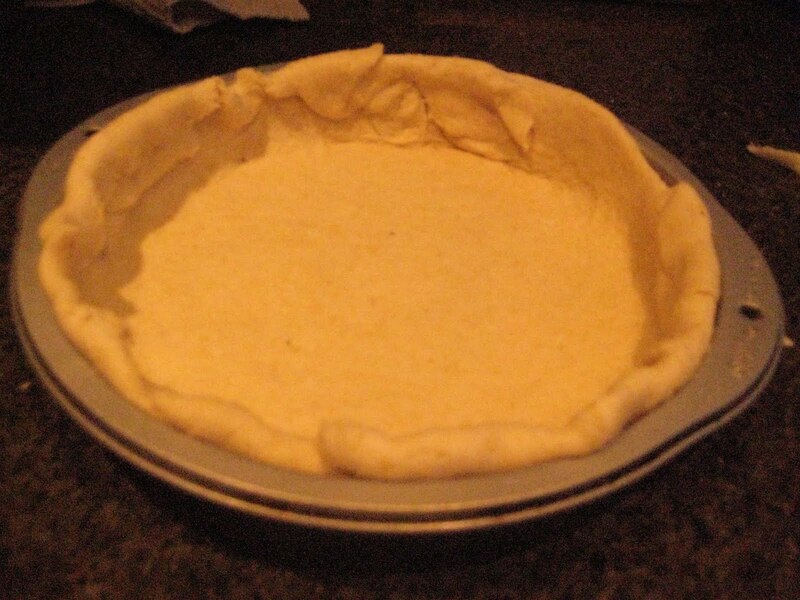 Lay it over an oiled 9in baking dish and gently push the dough into the curves of the pan. Pinch the top of the dough so it forms a smoothish top. Sprinkle half the cheese, about 2 cups, onto the dough and ladle 1.5 cups sauce on top. 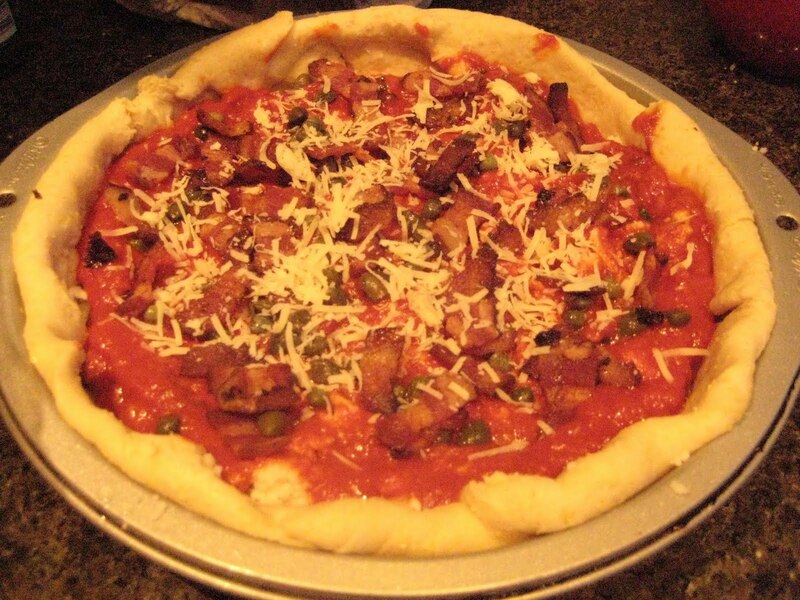 Add any toppings you’d like; in my case I went with the bacon and some capers (thanks for the idea, Luci!). 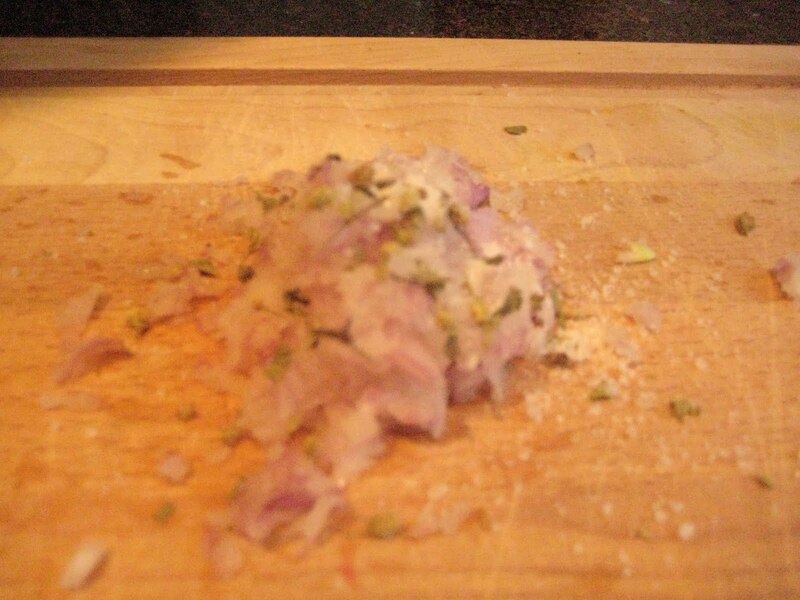 And finish it off with a sprinkle of Parmesan cheese. 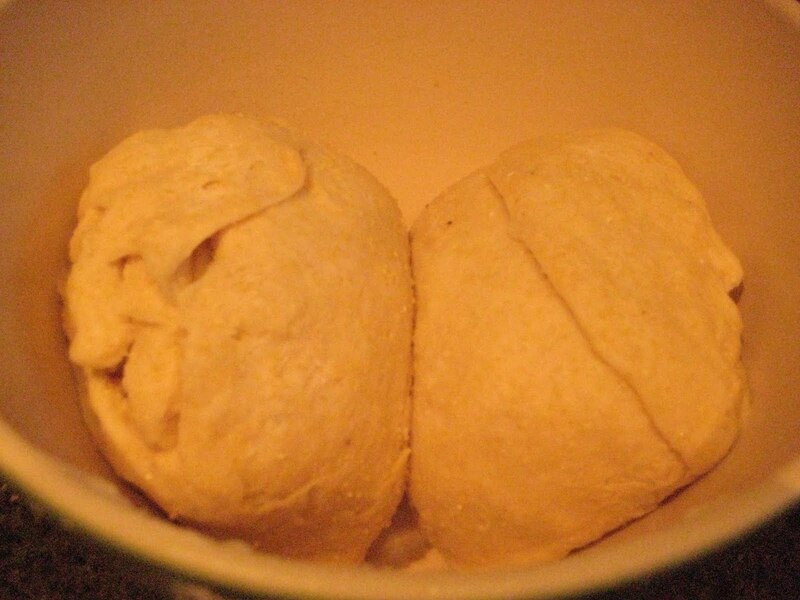 Repeat for the second dough ball and pop them both into the oven for about 20 minutes, or until golden brown. Let rest for 10 minutes before you cut it or else you’ll have a cheese bath on your hands. So, so good! 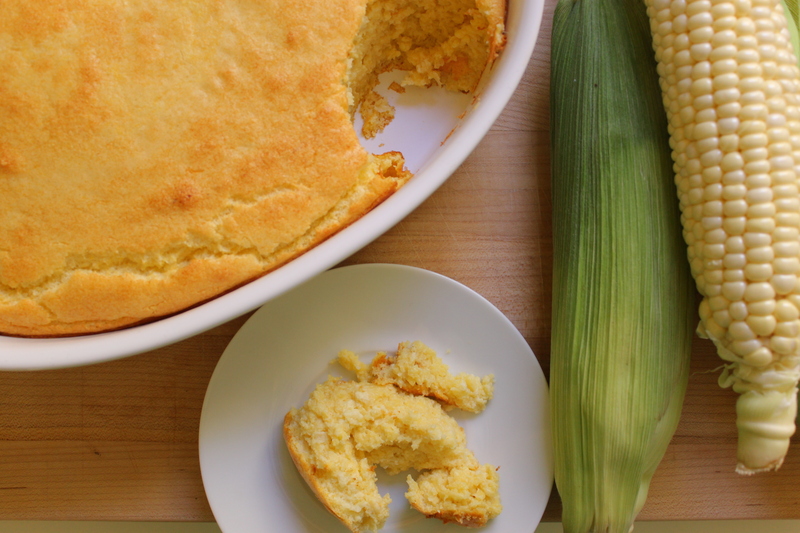 The crust was crunchy on the outside but chewy inside, with a nice hint of cornmeal. 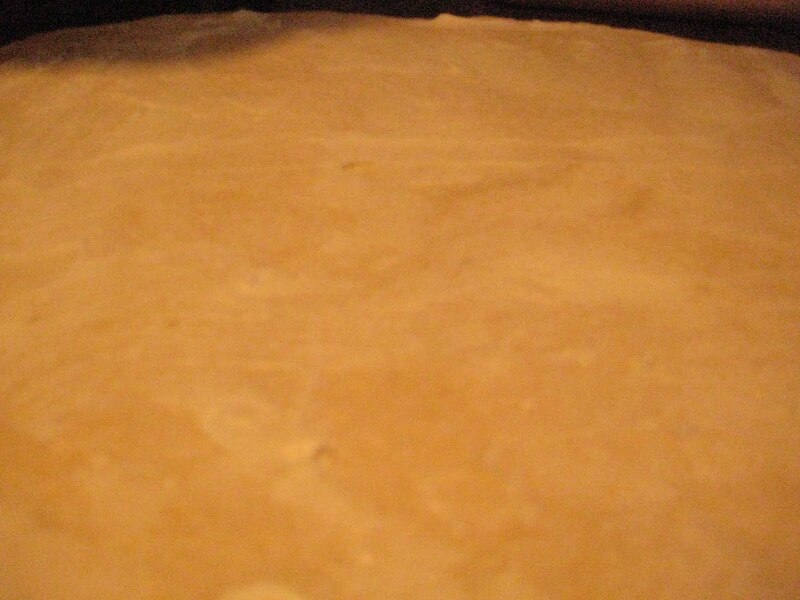 The butter sealed the layers, which added a nice textural component. The sauce was good, but definitely could have used some chili flakes and wine. 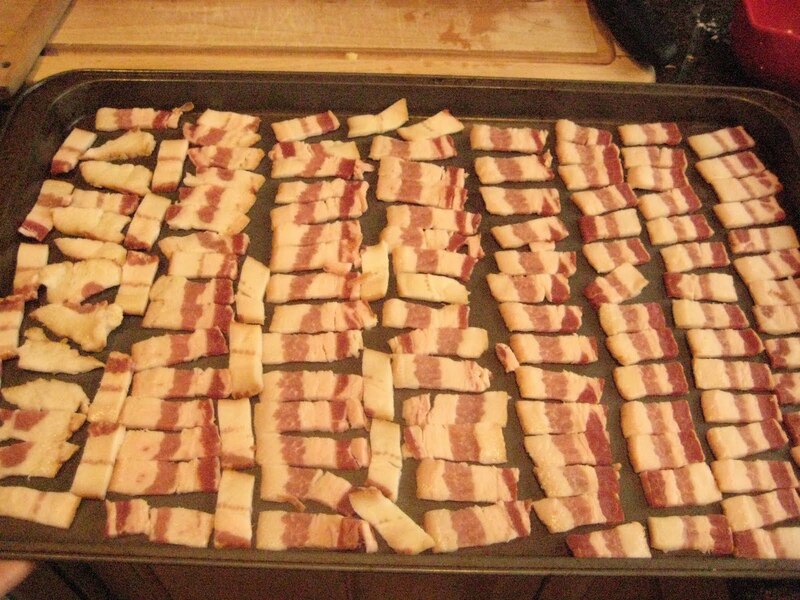 I love bacon and thought the capers were a nice addition.